Peter Drucker is the father of modern management who was born in Claremont, America. He is an Austrian by descent who has authored many management books. He was also a Management consultant and educator who taught the principles of running a business effectively. He taught people that base of a successful business is objectives. "So much of what we call management consists in making it difficult for people to work"
Just like a human life, a company should also have objectives to perform effectively. One of the golden theories which he put forth was management by objectives. In this, he explains that objectives or goals should be set by each and every person who work in the organization. 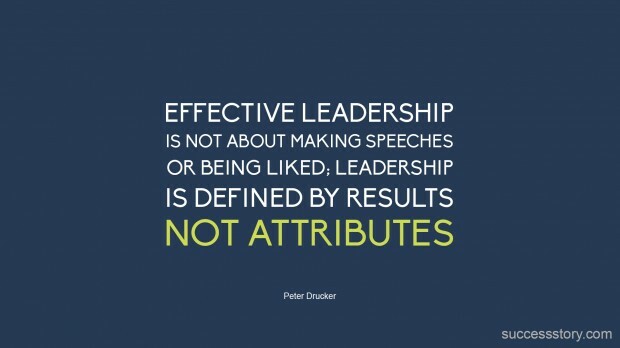 Peter Drucker has taught a lot of efficacious and valuable things to be followed by the businessmen. He says that the sign of an effective leader is not to make long speeches or to be well-liked by his employees. But the capability to bring about the desired results is what defines a good leader. He believes that management is not something which makes it difficult for the people to work. Management is not something which makes one's work brain wrecking. It is a thing to simplify people's work. It should encourage or smoothen the path of the employees. It is not possible to know in advance what is going to happen in the future. The only way to predict future is to bring it into existence by yourself. You become the creator of your own destiny. If you are born without deformities, you are lucky. It is good to hear nice things. But what people do is to hear things which are not said by others. We assume things and turn the worlds upside down. These are a few of his effective quotes which still guide efficient businessmen.